Standard: ISO 188 method A, ASTM D573, ASTM D5423 type 2, ASTM E145 type IIA, IEC 216-4-1 and IEC 811-1-2. 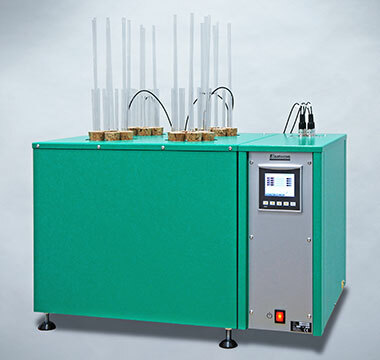 This tube oven has 4 cells, for simultaneous testing at different temperatures. Each cell holds 6 test tubes.